San Bernardino, California—The Electronic Frontier Foundation (EFF) sued the San Bernardino County Sheriff’s Department today to gain access to records about search warrants where cell-site simulators, devices that allow police to locate and track people by tricking their cell phones into a connection, were authorized in criminal investigations. EFF seeks the records to investigate whether California law enforcement agencies are complying with the California Electronic Communications Privacy Act (CalECPA). The law, co-sponsored by EFF and passed in 2015, protects Californians’ personal information by requiring police to obtain a warrant to access people’s digital records—such as emails and geographic location information stored on devices or in the cloud—and notify those whose records are being sought. Police can only bypass the warrant requirement under CalECPA if the records’ owner consents to the search or the records are needed in a life-or-death emergency. 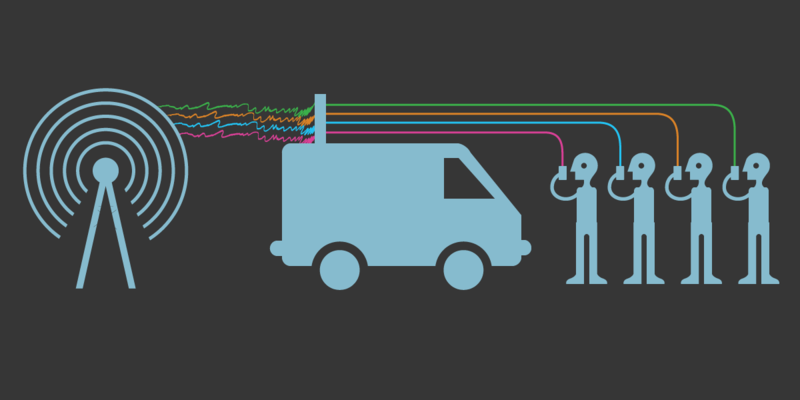 Cell-site simulators, also known as Stingrays, are highly invasive surveillance tools that can scoop up the location of all cell phones in a targeted area, the vast majority of which belong to people not suspected of committing any crime. Using cell-site simulators to locate a person’s phone and track the phone’s movements generally requires police to obtain a warrant under CalECPA. Agencies are also required to provide information to the California Department of Justice (DOJ) about warrants that don’t identify a specific target or in cases where they want to delay notifying the target. The DOJ then makes the information available to the public, a key transparency provision of the law. San Bernardino County law enforcement agencies were granted the most electronic warrants to search digital records per resident in the state, according to analysis of the DOJ data by the Desert Sun. EFF determined that the county has used cell-site simulators 231 times in the last year and filed a request under the California Public Records Act in August to obtain search warrant information for six specific searches that were made public by the DOJ. Each of the searches included authorization for the use of “cell-site stimulators” [sic], an apparent misspelling of the cell-phone tracking technology in the records submitted by San Bernardino to the DOJ. EFF’s public records request sought court case numbers associated with the search warrants, which would enable researchers to locate court records like affidavits justifying the need for a warrant and other information vital to assessing whether police are following the law and their own policies when obtaining warrants. The request contained detailed information about each warrant, made public by the DOJ, such as the nature of the warrants, the precise start and end dates of the warrants and verbatim quotes about the grounds for each warrant. Yet San Bernardino denied the EFF request, claiming it was “vague, overly broad,” and didn’t describe an “identifiable record.” The county also claimed that such records would be investigative records exempt from disclosure. In September EFF Senior Investigative Researcher Dave Maass contacted the county explaining that the California DOJ specifically informed him that he can obtain the search warrant court numbers from San Bernardino County, and showing that the request was narrow and contained granular detail on just six searches. The county has not responded. EFF is being represented by attorney Michael T. Risher.